Earlier this month, the great team at Microsoft Learning launched a new initiative called “The Know It. Prove It.” “ (KiPi) Challenge. During this month-long learning challenge, you’ll earn badges and points, compete against other learning challenges, and best of all, and learn the real-world skills that can make an impact in your job and career. There are 8 different learning tracks, ranging from Cloud Development to Web Development. During The Know It. Prove It Challenge, you can track your progress, earn badges and points, compete against other challenges, and share experiences with others who have accepted the challenge. your small, medium, or large business. sharing and organization at your company. 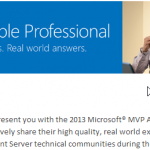 I find that MVA has done a very good job lately in giving out free learning resources to the community, and joining a challenge like this can motivate you to pass a Microsoft Certification exam in 2015! 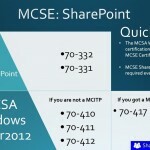 Also, if you’re a bit stressed for a Microsoft Certification, remember Second Shot Offer is back in 2015 for Microsoft Exams until May 31st, so in case you fail the first time, you can try a second one for free! Furthermore, during the Know It. Prove It. challenge, you’ll also have an opportunity to connect with others just like you who are looking to accelerate their tech skills and this starts by completing your profile. After that, you’ll be able to track your progress, share your experiences with other members in the KiPi community. You’ll also receive badges and points, compete against others, and get encouragement to help keep you moving forward! Wow, thanks for this informative post. I can’t wait to earn badges and points to prove my skills.